Enjoy local trails with our guide. 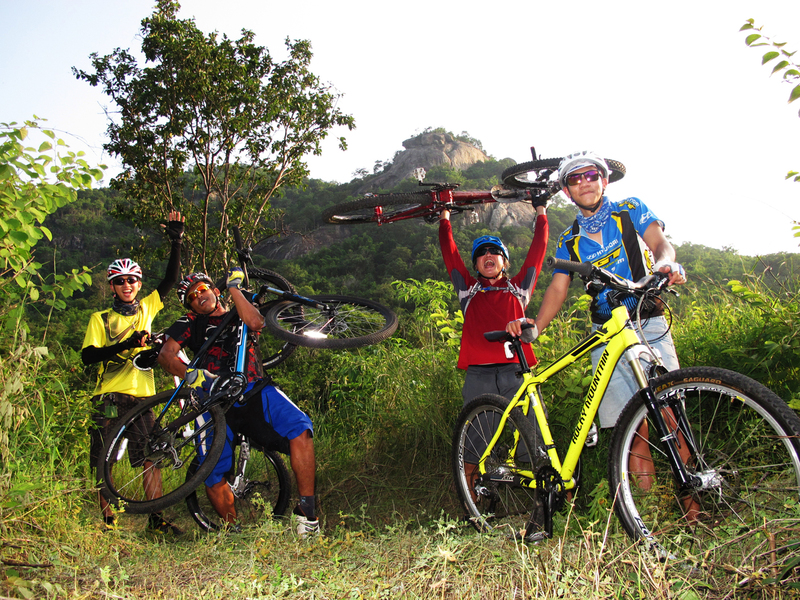 We take pride in maintaining and building a great trail network in Hua Hin. There is something for every riding style, just minutes away from the buzzing city.. Hua Hin is home of great cross country trails but also offers great enduro and downhill mountain biking with 3 Downhill runs maintained by our team. With continual development driven by tourism, it seems that the little beach resort of Hua Hin has little green space left. But trust us you will get your fix just a short ride west of the main road where the hills are home to several awesome bike trails. You will be amazed by the fact that it takes only 15-20 minutes on two wheels from our Hua Hin bike shop to enter a totally different world, where the sight of buildings and traffic jammed are replaced by forest covered hills, and the sound of car engines makes way for those of birds and insects. At times the only thing you will ,"hear" is blissful silence except from your own breathing. Not to mention the breathtaking view of Hua Hin town and the Gulf of Thailand. Meet at Velo Hua Hin bike shop near the famous Cicada Market at 8 am. After a quick bike fitting and briefing we head out. Staying off the main roads, we wind our way through small lanes, passing old temples and local communities to get to the trailheads where the real fun begins. The tour usually takes 3-4 hours, depending on the group’s pace. The group size is one person minimum and 10 maximum. We bike about 20 km on technical mountain trail. This trip can be tailored to your abilities. Our guide can either take you on easier Cross country trails or harder technical trails following your requests. Each rider has to carry his/her own drinking water and other supplies. We use imported 24-30 speed GT and TREK mountain bikes.